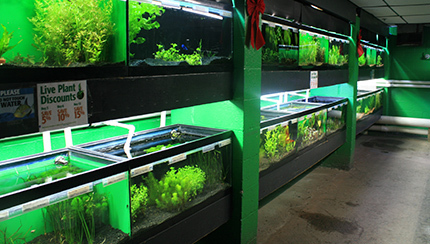 Our fish room is bursting with beautiful, exotic fish ready to brighten your home aquarium. You’ll find over 500 species of tropical marine & freshwater fish & invertebrates, hundreds of exotic corals & coral frags & a huge variety of lush aquarium plants. 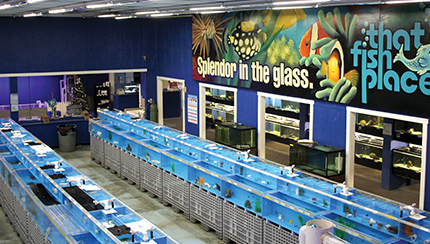 The custom systems in the fish room hold more than 35,000 gallons and incorporate hundreds of glass tanks and acrylic cubicles to best display and hold the animals. 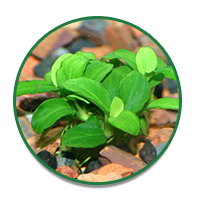 Each system is maintained with state-of-the-art filtration. We keep our tanks clean and healthy by incorporating UV sterilizers, computer-controlled ozonizers, and massive, self-cleaning protein skimmers. Our impressive 20 foot custom acrylic coral tray gets the tropical light it needs from cutting edge lighting from EcoTech. Our on-staff marine biologists maintain and monitor these systems, and we do everything we can to insure our fish and other aquatic life have the healthiest, most comfortable stay possible. 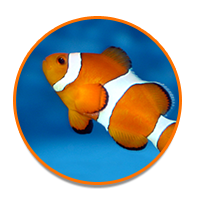 Quality & health of our aquatic inhabitants is our primary concern, which is why most of our selection comes with a 14-day guarantee. We want you to have success, and we’re here to make sure you do! Huge selection of South/Central American Cichlids & African Cichlids! Questions about the livestock we have available? Call 717-299-5691 ext. 1213 to reach our Fish Room today! 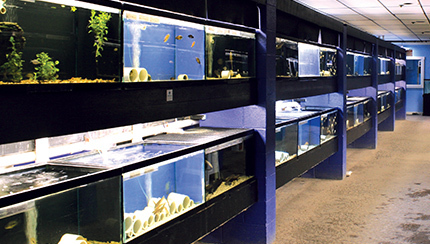 If you can't make it to our Fish Room in person, you can still see and purchase from our selection - check out our Aquatic Livestock online. 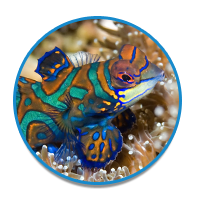 Choose from hundreds of healthy, beautiful tropical fish, all carefully tended by our professional staff and marine biologists. Our experts pick and pack the live items you choose using the safest, least stressful methods possible. Your order is then shipped directly from our facility to your door using overnight express shipping. 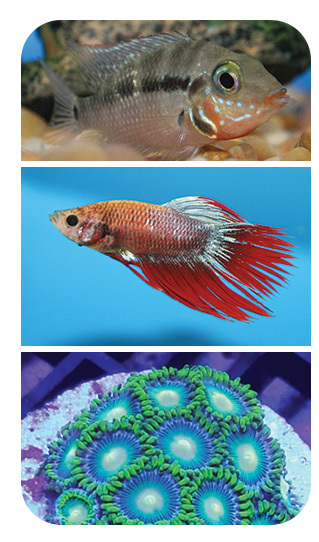 Remember to check our selection often- we receive new fish 2-3 days a week.